We know the battle injured motorcyclists face. Many insurance carriers simply take a 'deny and defend' posture. It makes getting compensation hard. Our lawyers commit to maximizing your compensation. Illinois law allows injured motorcyclists to recover a lot. You should recover a lot. You will have a lot of injuries. These sections cover bone fractures from motorcycle collisions. If you were in one, call our offices. See how we can help you recover. You can move on from this traumatic event! The most frequent and even most serious is bone fractures. They happen at an alarming rate. They bring significant costs and pains. This matter when trying to determine case value. Let's see how bones normally break in these incidents. The info above is helpful. It doesn't describe how they break. Bones break because they cannot take the force applied to them. This can come about from a one-time event so strong it shatters the bone. It might shatter to pieces. It can come about through a series of blows. They eventually add so much stress to the area that it finally fractures. These situations cause a lot of bone fractures. You are thrown from your motorcycle and slam your elbow into the ground. You get pinched between another vehicle and your leg wilts under the pressure. You collide with a car and break your fingers trying to avoid the incident. Motorcycle accidents break bones a lot of other ways. How the fracture occurs is important. It impacts your health and quality of life. These are related to the value of your claim. This info should inform you as to the origins of these injuries. Bones can break a lot of ways. 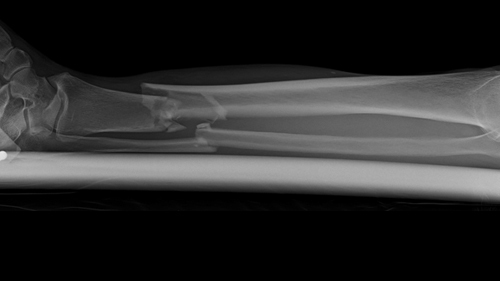 Motorcycle accidents produce different types of fractures. You need to be aware of the varieties. Here is some information at a general level and then content more applicable to this kind of incident. Simple: Damage to the neighboring skin, tissue, or other body parts. Compound: Bone pierces the skin or damages nearby body parts. Stable: The bones break but are not otherwise disturbed or out of line. Traverse: The bone breaks in a horizontal fashion. Oblique: The bone breaks in an angled manner. Comminuted: The bone breaks into several parts. Spine: Fractures in the lower and middle part of the spines are quite common in motorcycle accidents. These injuries can occur at slow or fast speeds because the spine is such a fragile part of the body. Skull: Though normally avoided by wearing a helmet, skull fractures in Illinois motorcycle collisions can happen at fast speeds and cause serious long-term health effects. Arm: Many motorcycle accidents have broken bone injuries because riders normally use this part of their body to brace themselves or shield themselves from a more critical threat. Shin: The shin is one of the strongest parts of your body; therefore, only the most forceful and fast motorcycle crashes cause them to break but when they do they can fracture into several chunks and cause long-lasting damage. Pelvis: Pelvis injuries also normally arise in the most serious of motorcycle accidents in Illinois. Yet, a broken pelvis can threaten your life due to severe bleeding and other factors. Also, it is typically indicative of other critical health issues. Generally, how you break your bone and how it affects your life going forward will influence the kind of compensation that you can receive in court. Therefore, it is important to review this information to understand your injuries and possibilities for relief. Exposed bones that have pierced through the skin. Arms, legs, or other limbs that are malformed or out alignment. Pain, numbness, or discoloration around areas with pain or numbness. Pain when moving or pressing bones. To understand other indications of broken bones after a motorcycle accident and whether or not you may have fractured one, speak with your personal doctor. This is a serious injury that can take your life if not handled appropriately. Also, it is an injury that the law recognizes and that you can recover for in court if you build a competent claim with an experienced attorney. To learn how you can obtain compensation in Illinois for a broken bone injury, speak with our team of skilled attorneys. With little protective equipment to absorb the impact from a collision with a vehicle, motorcyclists receive some of the most significant injuries of any person travelling on the road. According to the National Highway Traffic Safety Administration, 4,976 people were killed and 88,000 people were injured in motorcycle crashes in 2015. The fatality rate increased by over 8.3% from the previous year. According to the U.S. Department of Transportation, in the past 10 years, the number of motorcycles on the road went up 63% but the amount of fatalities more than doubled during the same period. This national trend has been echoes in Illinois. According to the Illinois Department of Transportation report '2014 Illinois Crash Facts & Statistics' (the most recent comprehensive review of Illinois road safety), 118 motorcyclists lost their lives and 2,693 motorcyclists were injured in crashes in that year while riding on Illinois roads and highways. Almost one-third of all bone fractures occurred below the waist. About one-fifth of these injuries affected the neck or head. Broken bones are one of the five most common injuries suffered in motorcycle accidents including death, nerve damage, and other effects. Millions of people break bones in motorcycle collisions every year. Broken bone injuries from motorcycle accidents cost the country billions of dollars every year. Pain & Suffering: An injured motorcyclist can recover for the initial and residual pain that a fractured bone causes and any surgeries that it requires. Lost Income: You may recover lost wages if you are temporarily or permanently prevented from working in the position that you held at the time of a crash due to the fractured bone. Example, if you are permanently disabled and you cannot return to your job where you were making $50,000 per year and you expected to work for 20 years, your wage loss claim would be $1,000,000. Disability: You may receive compensation for the things that you are unable to do that you enjoyed doing prior to your accident if the broken bone prevents you from doing so. Devices: Sometimes your doctor will prescribe a medical device such as a cast, brace, or splint to treat your bone. How these are applied and instructed for use is incredibly important and can drastically influence your prospect for recovery in court. Traction: Your physicians might employ traction in order to set your bones properly. This is a system of ropes and weights that is designed to use force to put your skeletal system back together. Surgery: Unfortunately, the foregoing options might not be enough in some circumstances to correct your fractured bones. When that is the case, doctors might elect to perform surgery to fix the break and either manually set it, insert a rod, or complete some other tactic to address the problem. Remember, you and your doctor might use one or all of the listed treatment options above to alleviate your broken bone pain. Also, the costs and discomfort that this treatment causes you are things that you should look to recover for in court. They impact your case value by potentially increasing your jury award or settlement figure. The defendant owed you a duty to not injury you. The defendant breached that duty by injuring you. That breach caused your injuries. Your injuries led to legally recognizable damages. 1. Your Fault! Defendants frequently counter that it was you who acted negligently and was responsible for the motorcycle crash. 2. Assumed The Risk! They might also suggest that you assumed the risk of injury through your conduct or words and should not be allowed now to recover in court. 3. Third Parties! If they cannot point the finger at you, then they will most likely find someone else to blame for your broken bones. Examples of third parties defendants typically try and shift the responsibility to are independent contractors or drivers of other vehicles. 4. Lower Your Ask! Even if defendants agree that they are at fault and you are deserving of damages, they still might claim that you should not be entitled to the amount of compensation that you claim. They might dispute your economic or non-economic losses and weaken your argument to a big reward. Rosenfeld Injury Lawyers LLC has accumulated significant experience and considerable success refuting each and every one of these defense in Illinois motorcycle litigation. We can work with you to preserve the value of your claim and destroy the defendant's case. In the next few sections, we summarize some Illinois motorcycle accident lawsuits (both jury awards and settlement amounts). They highlight incidents with broken bone injuries. The plaintiff in this case, Mr. Grady, was driving his motorcycle around a small town in northern Cook County when a truck driver immediately and unexpectedly turned into his lane and caused a collision. Grady had just entered a left-turn lane and was about to turn when the truck merged into the same path without signaling, without yielding, and while on his cellular phone. The crash caused significant breaks and tears in Grady's knees, wrists, hands, and shoulders. He sued the driver and the driver's employer; however, because the conduct of the driver was deemed to be wanton and willful (talking on the phone while driving), it was not within the course of his employment and the employer was dismissed as a defendant. The jury returned a $495,000 verdict for Grady. Ms. Miller was riding her motorcycle on a busy road in Bolingbrook when she noticed a car closely tailing her. The car drove right up to the rear of her bike then tried to go around her. However, in the process, the car clipped her motorcycle and caused an accident. The incident left Miller with a fractured clavicle as well as other various injuries all over her body. Both sides claimed that the other driver was at fault, failed to slow down, failed to keep a proper lookout, and was otherwise negligent. They jury believed Miller and awarded her a $50,000 verdict but also saddled her 45% of the responsibility for the crash that almost cut that figure completely in half. Both drivers in this incident were driving down a busy road, Route 64, in Kane County. Soulides turned left to enter a Dairy Queen and cut off Paul. They crashed right into each other and Paul suffered a broken bone and other injuries. Paul and his wife brought a negligence action against Soulides claiming damages related to loss of income, medical bills, and related items. They settled out of court for the insurance policy maximum of $100,000. This case involved a head-on collision. The plaintiff, Mr. Murawski, was riding his motorcycle down a state highway when the defendant's car crossed the median line and ran smack into him. Among various injuries that he sustained, Murawski also broke his leg and that condition eventually deteriorated to the point where he needed an amputation. Naturally, Murawski sued the other driver for negligence. While the defendant did proffer a defense, it did not last long possibly because of the clear nature of who was at fault in this case. Thus, both sides quickly settled for the insurance policy maximum amount of $250,000. Mr. Rankin attempted to drive his motorcycle through an intersection when he was hit broadside by another vehicle that was attempting to turn left. Among other bruises all over his body, he also sustained a serious leg fracture. At trial, both parties contended that the other was driving too fast and not keeping a proper lookout. Possibly because of the ambiguous circumstances of fault in this particular incident, the parties decided to settle for $50,000 rather than risk losing even more in court. Karas was riding a motorcycle around Blue Island, Illinois, when a truck veered into his lane and collided with him. He reportedly suffered various injuries including broken bones; therefore, he decided to sue the truck driver and the driver's employer under a respondeat superior theory of vicarious liability. His suit alleged that the truck driver was driving too fast, turned without signaling, and turned without determining if there was anyone in the other lane. The defendants said much of the same things about Karas. Unfortunately, in these circumstances, often times the jury sides with the aggrieved and they did so here as well-finding for the plaintiff, Karas for $159,000. When a motorcyclist is injured in an accident, it frequently impacts both the individual and his family. From the time our office is retained in a motorcycle accident case, we begin preparing aggressively preparing your case so we may present it in the most favorable light for a settlement with an insurance adjuster or when a lawsuit is filed, presenting the case to a jury. Our motorcycle accident cases are always handled on a contingency fee basis and there is never a fee charged unless there is a financial recovery for you. Complete this on-line intake form and get a free case evaluation with a Chicago motorcycle lawyer today. 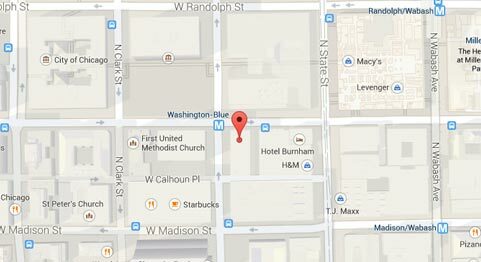 The Chicago motorcycle crash attorneys at Rosenfeld Injury Lawyers LLC are here to assist you during times of need. We offer complimentary telephone and in-person conferences at a convenient location to discuss your legal rights. Regardless of where your motorcycle accident occurred, we can help you recover the maximum compensation for your injuries. Call us at (888) 424-5757. Want to learn about other injuries Illinois motorcyclists suffer? Please read the following pages.